Our Italian Meat Sauce in 12 ounces and 1 gallon pack sizes! Papa Bifano Italian Meat Sauce is made with the freshest ingredients including vine-ripened California tomatoes, beef, pork, extra virgin olive oil, onions, garlic, fennel seed, sea salt, black pepper, oregano and basil. Our product is made and packaged in California with the utmost care, and of course contains no artificial ingredients, preservatives or GMOs, and is naturally gluten free. 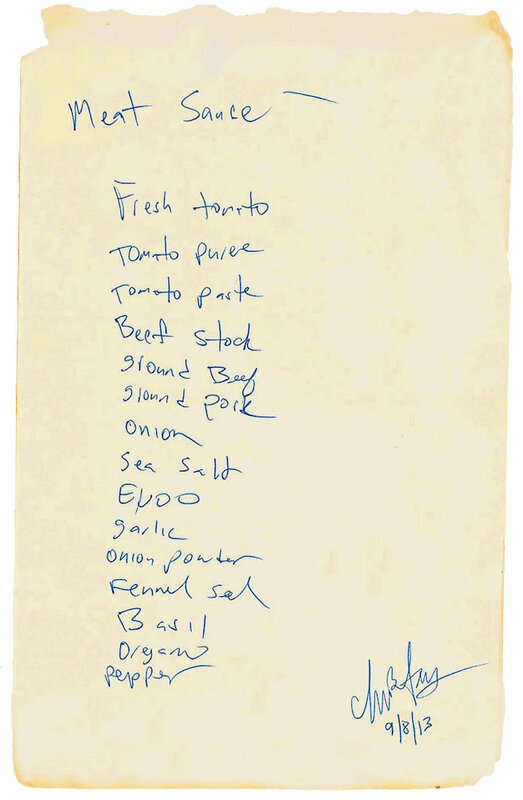 Check out our collection of Arthur Bifano's original recipes, the inspiration for many of Chef Chris’ creations, including Papa Bifano Italian Meat Sauce.